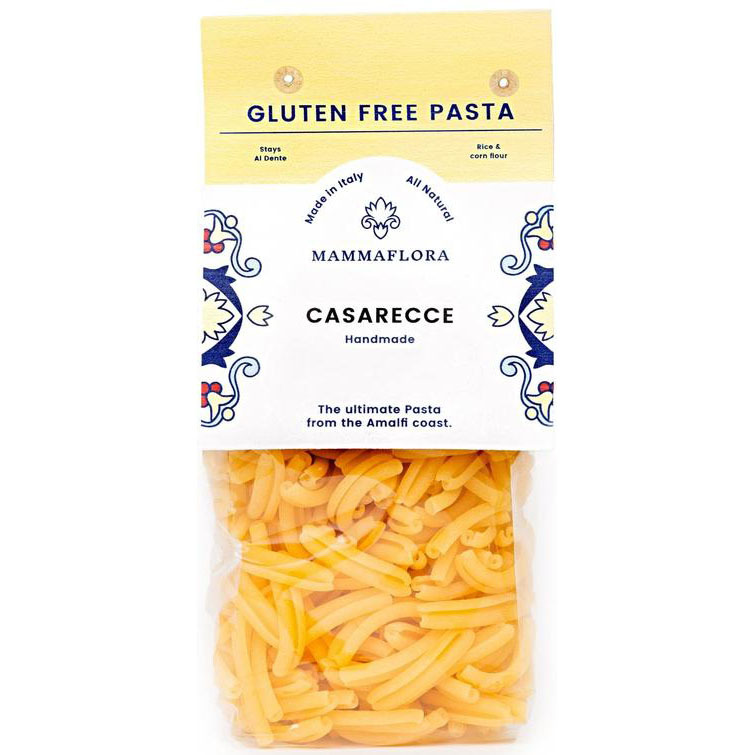 This amazing gluten-free pasta has been created to give you the same satisfaction as Mamma Flora's Good Gluten Italian pasta, but without the gluten. It combines gluten free ingredients with the traditional know-how of artisan pasta makers to provide the same authentic 'al dente' texture as pasta containing gluten. This Gluten-Free Casarecce is handcrafted in Gragnano, also known as the 'City of Pasta'. The ultimate pasta from the Amalfi coast, it makes a real difference when you cook even the simplest meal such as a pasta bowl. Comes as 1 x 400g pack of pasta, or stock up and save with 3 x 400g packs. How to use: For the perfect "al dente" pasta put the pasta in enough boiling water with salt for 10-12 min, drain it then mix with a Mamma Flora sauce.